In the Kunstverein Harburger Bahnhof, located in the former waiting lounge for first-class ticket holders, Laufer designed a video installation revolving around a niche genre of literature called ‘armchair travel’ or ‘room travel’ inspired by the French author Xavier de Maistre, who wrote Voyage “autour de ma chamber” (Voyage Around My Room) in 1795. Stories in this genre tell of travellers exploring the everyday world as if it were a foreign country by going on an imaginary journey around their own room. The Hungarian film critique Béla Balázs described room travel as a state of mind in which one explores a space within the mind. 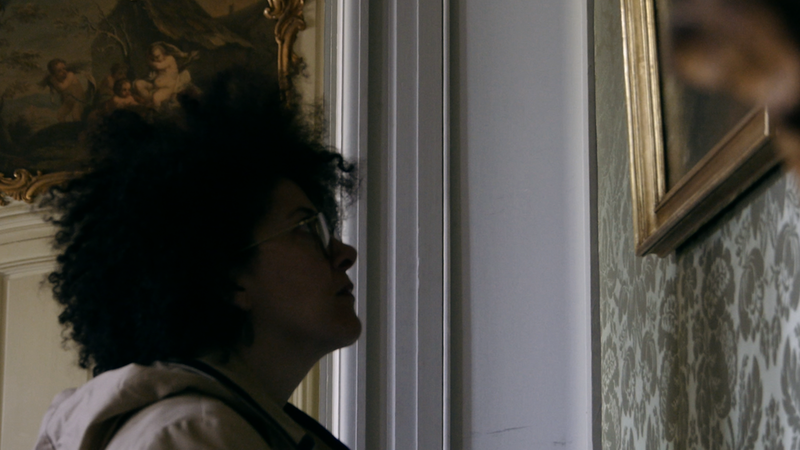 Laufer achieves the mental leap required to get into the mind-set of the armchair traveller – when the traveller gazing at a nearby object or out a window is transported to another place through the narrative – by relying on a cinematic technique called ‘match cut’, which is often used in film to indicate a change of scenery. This makes the editing technique appear as a modern-day version of the pre-cinematic armchair travel genre. 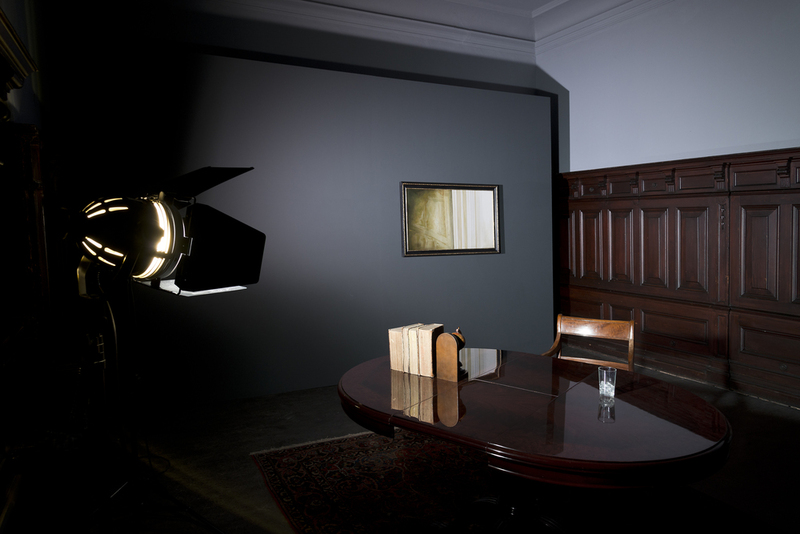 Laufer’s exhibition in the Kunstverein Harburger Bahnhof features paintings, objects and a two channel video installation that was filmed partially in the Kunstverein’s galleries and the Golem club cinema in Hamburg. In a transit space defined by high speeds, Laufer plays with the idea of the ‘room traveller’ to explore the quiet and subjective slowness of armchair travel and inertia in movement. The work A dot of colour -where a travelogue sleeps (2014) painted in oil on a pewter plate cites a series of paintings by the French artist Hubert Robert (1733-1808), which he painted on his dishes while imprisoned during the French Revolution. Laufer cuts these dishes he filmed in a city palace in Paris with his version and thus leaps into a unique imagined space, in which reflections and doublings throw the narration back upon itself. Daniel Laufer invites us to a passage through which the protagonists of the film already stride in a strangely placeless way. He narrates an analogy of transition, whose only point of reference is our subjective world of imagination. The Vinyl LP "Train of Thought" by Daniel Laufer was part of the exhibition with the same title at Kunstverein Harburger Bahnhof, Hamburg, Germany. "Train of Thought" is the 2nd in a series of artist record editions by Apparent Extent in cooperation with Kunstverein Harburger Bahnhof. "Train of Thought" was written, directed and edited by Daniel Laufer. "Old Melody" is a traditional French shanty performed by Brunhilde Groult. Additional music composed and performed by Markus Hinz and Volker Zander, recorded July 29, 2014 at St. Antonius, Düsseldorf. This record is part of the exhibition "Daniel Laufer – Train of Thought" from November 23, 2014 until February 8, 2015 at Kunstverein Harburger Bahnhof, Hamburg. Curated by Anna Sabrina Schmid. 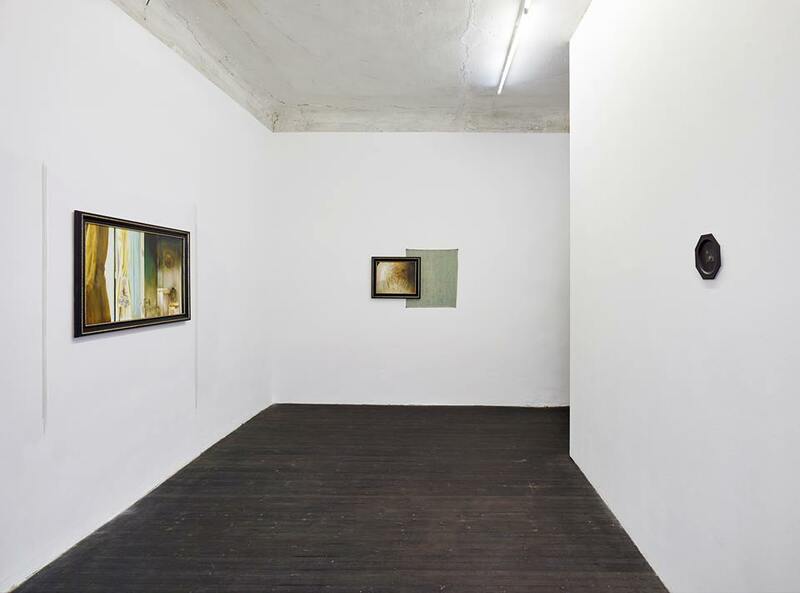 Thanks to Atalya Laufer and Lorie Quint, Nina Köller and Jens Mentrup at KM gallery, Berlin. Available directly from Apparent Extent.